Here’s what will happen next now that probate is open. Probate is officially open when the court issues either “Letters Testamentary” or “Letters of Administration.” Both documents grant you, the personal representative, the authority to act on behalf of the estate. The names of the Letters are different depending on whether your deceased friend or family member died with a will in place (testate) or without one (intestate). Your title as the personal representative will differ along with the names of the Letters, too. While your specific tasks during probate will be similar whether there is or is not a will, it is important to remember that you are known as the administrator of the estate if you received Letters of Administration. You would be an executor or executrix if you received Letters Testamentary. Once you have received Letters, you will have already completed the critical step of determining whether your friend or loved one’s will is “self-proving,” as many in Pennsylvania are. To be self-proving, the original will must have a notarized affidavit attached to it when it is filed at the courthouse prior to probate being opened. This notarized affidavit would have been created at the time the original will was signed. If they are available, have the two subscribing witnesses who signed the original will sign an Oath of Subscribing Witness. If the subscribing witnesses are unavailable, have two people familiar with your friend or family member’s signature sign an Oath of Non-Subscribing Witness to state that they believe the signature on the will is authentic. The first step once probate has started is giving notice to heirs, beneficiaries, creditors, and others who may feel they have claims to the estate. 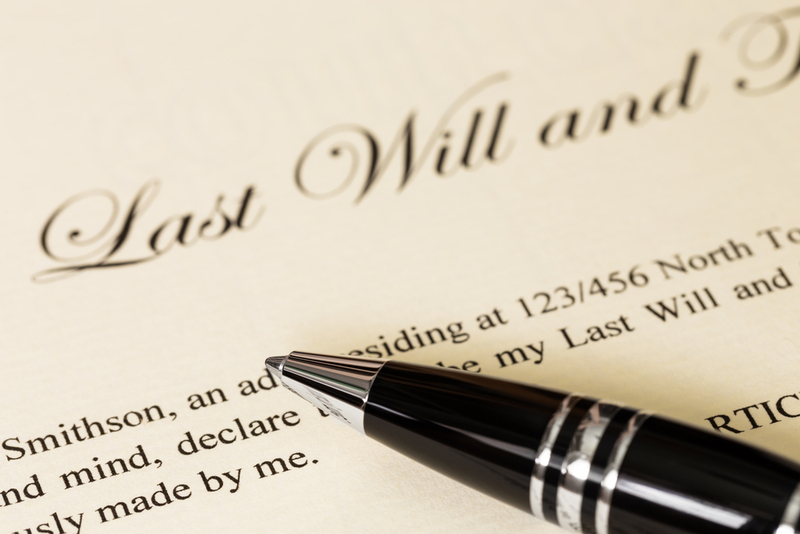 The point of this step is to let all possible stakeholders know that the estate is in the process of probate and you are the personal representative. Pennsylvania law requires that notice is given to all potential heirs. This step involves mailing a Notice of Estate Administration form to each beneficiary. It’s also highly recommended that you publish a legal notice in the county law review and a newspaper of general circulation within the county where the estate was filed – these published notices are critical in the event that new credits step forward later because they serve as “notification” for creditors you may not be aware of or have contact information for. Once you have provided notice to all beneficiaries and others, you will need to file a Certification of Notice form with the Register of Wills stating that you’ve completed this task. Note that probate continues in much the same fashion of completing tasks and then reporting back to the court. You will continue to utilize forms from either your county’s individual Register of Wills Office or the Supreme Court of Pennsylvania’s standardized Register of Wills and Orphans’ Court forms. Like the gathering documents phase you completed before probate began, this process needs to be comprehensive. As you determine what assets your deceased friend or family member had, you will report these on an Inventory form that then gets filed with the court. One of the main points of creating the inventory is to determine what assets may be subject to Pennsylvania Inheritance Tax and possible Federal Estate Tax. You will also have to pay all the debts of the estate before making distributions to beneficiaries, and the inventory will help you as you determine whether you will need to sell any estate property. Your friend or family member’s outstanding debts, along with funeral and estate administration expenses must be paid before you can begin distributing assets to legal heirs. And remember that you will be responsible for paying claims based on a schedule of priority payments if the estate is insolvent, which happens when the estate’s debts exceed assets. Hopefully, this won’t be the case, but you will likely be required to sell estate property if there are many debts. The good news is that most transactions don’t need prior approval from the court, though the personal representative will have to file status reports with the court periodically. Federal Estate Tax – Estates with taxable assets under $11,180,000 are not subject to the Federal Estate Tax and no return needs to be filed. For those estates whose taxable assets do exceed that threshold, a return must be filed with the IRS. Income tax – A final federal and PA Department of Revenue income tax return must be filed for your friend or family member by April 15th of the year after death. These returns cover the period between January 1st of the tax year through your friend or family member’s death date. The estate actually becomes a separate taxpayer on the day after death through the end of the death year, and a “fiduciary” income tax returns may be required. If you typically seek an accountant or professional tax preparer’s help with income tax filing, you may want to consult that expert’s advice on filing the estate’s taxes. An experienced probate and estate administration attorney can also assist with ensuring that all death taxes have been properly paid. After you’ve paid all debts and taxes, you can finally begin distributing assets to beneficiaries. In Pennsylvania, this part of the process will play out in one of two ways. In estates where everything is relatively straightforward, the personal representative may prepare a final accounting of estate assets and expenses before distribution begins. This is presented to the beneficiaries with a release document, and once it is approved, the representative distributes the assets and wraps up his or her administration duties. In certain scenarios, such as estates that deal with ambiguous wills, family disputes, or minor child beneficiaries, among other complications, an accounting must be filed with the local Orphans’ Court to be formally adjudicated. In these cases, a schedule or plan of distribution must be filed with the accounting. Interested parties will be notified of an opportunity to come to the court and voice objections. While this formal process helps clear up confusion and assures that estates with disputes or other issues are fairly administered, it does add time and expense to the probate process. Three months to over one year is typical regarding delays caused by adjudication to the closing of an estate. The entire estate administration process, on average, takes about a year, but it can sometimes be completed in as little as a few months. If the estate is very complex, plan to dedicate several years to administration. And don’t forget – Status Reports will need to be filed periodically. So, how do you know when you’re all done with probate and can close the estate? Once you have finished distributing assets, whether through the informal process or an adjudicated process, you will need to file just a bit more paperwork, and then your duties as a personal representative are complete. First, you will need to file those final fiduciary income tax returns with the IRS and the PA Department of Revenue. Next, you will need to submit a Status Report form to the Register of Wills Office, which will include any release documents you had beneficiaries sign. At this point, you may be done! Be sure the court has accepted your documents, and then you can breathe a sigh of relief. As you can see, this is an involved process, during which most people would benefit from the professional advice and guidance of an experience probate attorney. And using one from the very start of estate administration saves money, time, and lots of headaches. But if you’re currently in the middle of probate and are feeling overwhelmed, we invite you to get in touch with us right away. Our experienced and compassionate estate lawyers are ready to ease the burden that estate administration can quickly become. Get a free phone consultation now.